Meanwhile a more credible claim of responsibility has been posted at indymedia. At this point, we do not want to comment nor torate it, we only want to report on it and to stimulate discussion. Nevertheless, thanks to the author(s) of this second letter, which certainly also will resolve some of the confusion within the “scene”. We speak up as those who caused the breakdown of the lignite mining in the Hambach open pit last Sunday morning, April 24, 2016. As a target of our attack we chose the uncovered ground lines between the coal bunker and the conveyor belts collection point. With these cables all excavators, spreaders and conveyor belts are connected. The cables pass from the substation on the western edge of the pit near Oberzier, where is transformed from 280kV down to 30kV, to the conveyor belts collection point on steel frameworks at a height of about 20 – 200 cm. Including the insulation they were about 10 cm thick. In order to achieve a secure effect on as many cables as possible we poured and ignited tremendous loads of petrol under the cables. Near the fire, there were neither buildings nor equipment to which the fire could have jumped over. There also were no people around. The various blackouts were accompanied by bright flashes, visible in the entire pit. They were due to the discharges of the power cables as soon as the insulation was melted away. 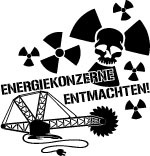 Our action was not only directed against RWE, but also against the dominant conditions. 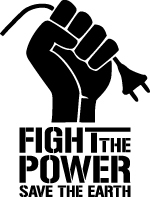 In a world where capital interests are in the foreground and the power structure ruthlessly pushes through its myopic interests against all odds, and against humans and nature, a radical resistance is needed. We want to oppose a resounding “NO” to this system, as a first step to tilt this balance of power at some point. Unfortunately, there is bad news. Today both remaining camps were evicted, the residents fled (including the guests of the Action Week) for the most part into the woods. Eleven people are still detained, one person is seriously injured in hospital (after yesterday’s police attack). “Fear not, hardships are made to be temporary”. Repression against the opposers of Fennovoima-Rosatom nuclear power plant project continues: and it’s getting worse and worse. 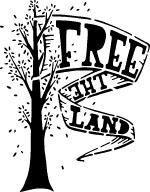 On Friday 4/29 two protest camp sites got evicted at Pyhäjoki, Finland. Police operations were, on Finnish scale, massive. Not big. Massive. Present were roughly 20 police vans, officers in riot gear, border patrol’s helicopter, sections from both national SWAT teams, dog units and specially equipped riot vans. Police declared the eviction of both camp sites by presenting a legally vague, written police order without even specified locations of the camp sites or other information. Just an order to leave and a declaration that police will arrest everyone „under the police law“ it considers to „be connected to locations“ or „able to disrupt public order“. 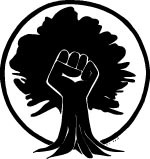 ∗ It starts on Mai 8: organised Walk in the Hambach Forest. ∗ and an event on Mai 8, the memorial day to the liberation from the Nazis in KOMM Düren. ∗ In Jülich will be on Mai 14 the Concert & Solidarity Show Open Frontiers for All!. ∗ The Kitchen Collective invites on Mai 18 Küfa and film night in the WAA. “Since April 12th 2016, this text can be found at Indymedia linksunten (bottom left). Here it is only redistributed, the content of the text is debatable. Then follows a text in German, in which a person declares to have tried to fell a pylon which transports the electricity needed for the open pit of Inden. It has suffered severe damage and needs to be replaced now. We don’t have more details at this moment, we will report further in any case, if there is something new. And if anyone has more info / eyewitness accounts, please contact us! (Mails through our contact is automatically encrypted). The second event remembered a reader of the German version of this site to the Reichstag fire in 1933, when the Nazis used (and probably lighted) this fire to start the prosecution and elimination of their enemies. Come around, we do not know how long any report will be possible. 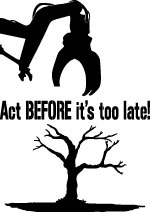 The repression against the environmental movement in the Rhineland is increasing. The newspaper Aachener Zeitung ( see article http://www.aachener-zeitung.de/lokales/region/pferde-hunde-hubschrauber-grossrazzia-am-hambacher-forst-1.1335124 ) sees a connection to offences, allegedly committed in late February. At that time the police claimed that their forces, who should accompany / enforce the deforesting work on the final day of the grubbing season, were fired at with slingshots. One person was arrested then, but after a short time released again. There seems to be video footage of the reported incident. A dog handler with his dog is searching the meadow. What the dog is trained for, is not known. Come to the meadow and the WAA, so that the police there can not continue searching everything unobserved !!! Show your solidarity! Spread this information and support the local people! Also our last compa is free now! 22:15 We call it a day and close the ticker for today. One person is still kidnapped (according to the latest info into a psychiatric hospital), but the others are all free. The arrests appear just to have been executed, so that the police could achieve any results after their totally excessive operation with more than 300 cops. We thank all those who have supported us throughout the day and who came to the solidarity rallies. Now it’s first of all clean up after the devastation. In addition, the cops have taken computers and phones, so we are pleased when people donate any. And of course we hope that the remaining kidnapped person will soon be free again! 21:10 According to our information the people detained in Aachen are all free now. 21:00 Police threatens with eviction of the solidarity rally in Düren, since there no chairperson is named – 20 people are there. Support needed! 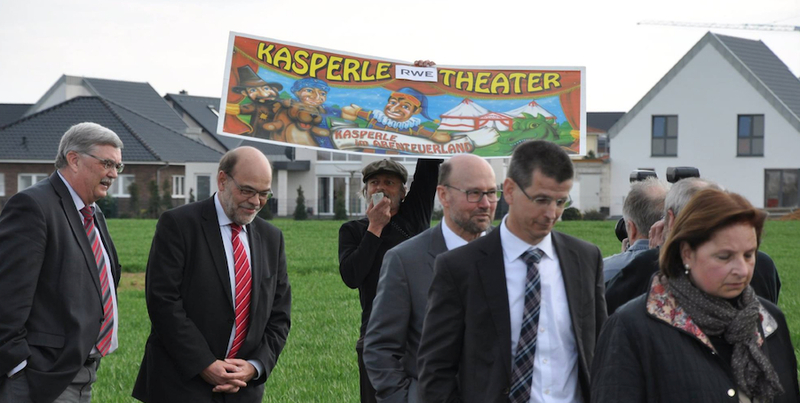 The ground-breaking ceremony in favour of the relocation of the villages Keyenberg, Kuckum, Lower and Upper Westrich and Berverath was a disaster for RWE and the state government of North Rhine-Westphalia. Our compa Huba, who was in custody since March 22, is free again! When he was about to leave the room after Sara’s trial, his way out was blocked by police in plain clothes and judicial officials. They told him that he was searched with an open arrest warrant (justified by a risk of absconding) and they led him away in handcuffs. For more information on Huba’s arrest and jail stay can be found at ⒶBC Rhineland. The anniversary of the meadow occupation in Hambach Forest comes soon and we want to celebrate it with a party on the site. It will be on the 14th of April from 18.00h on. We would be happy to meet and have a good time with all our supporters, neighbours and refugees who want to party with us. There will be an open DJ with awesome music but feel free to bring your own music with a USB stick. Delicious vegan food will be provided too (there’s no good party with an empty stomach). You are very welcome to bring some food to share with everyone as well! There’s plenty of space to sleep on the field and forest but you’ll have to bring your own tents. As always, any donations would be very helpful for the food and other necessities. You can check our wish list (hambachforest.blogsport.de/join-in/donations/) and, who knows, maybe you can bring something along.You can check on Contact&Directions how to get to us.